The wild Honda Civic Type R hot hatchback is no less hard-core for 2019, but it does get a few minor updates. A new color is added, and there are some revisions to the interior including what Honda claims is a more user-friendly infotainment setup and some reworked controls. The new hue is an attractive bluish gray called Sonic Gray Pearl, which has been offered on the standard Civic hatchback since it launched last year as part of the Civic's 10th-generation lineup. It's pictured above on a Europe-market Type R, as those over on the Continent have had this color available since the Type R's launch. As in other 2019 Civic models, the biggest change inside is a new infotainment system that continues to use a touchscreen but also now incorporates a physical volume knob and hard buttons that should improve its operation. Previously, all Type R models came with a frustrating button-free interface with finicky touch-sensitive buttons and sliders. Honda also says it has increased the size of the cupholders, simplified the steering-wheel controls, and added buttons for fan speed to the climate controls. There are no changes to the Type R's dynamite powertrain, a turbocharged 2.0-liter four-cylinder engine making 306 horsepower and feeding that to the one transmission choice, a six-speed manual. When we tested the Civic Type R, it got from zero to 60 mph in 4.9 seconds, making it the quickest front-wheel-drive car we've ever tested. It also performed admirably at our annual Lightning Lap competition, where it set down a blistering lap time of 3:03.9. The Civic Type R will still only be offered in a single trim level for 2019, but its price does rise by $1000, to $36,595. There have been rumors of a lower-priced version of the Type R with less standard equipment, but it looks like we'll have to continue waiting for that one. 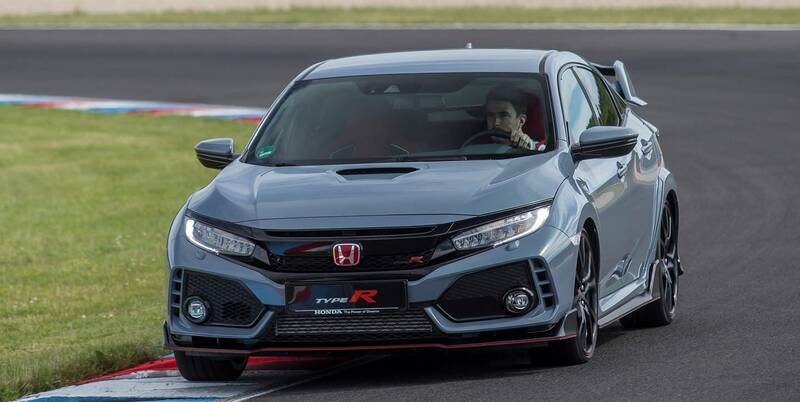 The 2019 Type R will start arriving at dealerships on November 3.